mama elephant | design blog: APRIL NEW PREVIEWS! Welcome friends to our April release kickoff! If you've been following us on Instagram and Facebook then you might've spotted a super fun sneak peek earlier in the month! Did you guess one of the themes for the April release? Yes, we are loving our aquatic creatures this release with super cute marine friends and the cutest little mermaids! Let's dive in, shall we?! 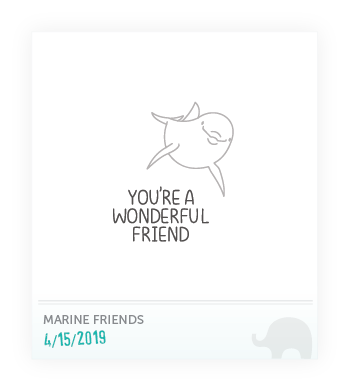 First peek is Marine Friends, a set featuring these adorable and friendly dolphins and some of their equally cute ocean friends! Yes, the mermaids are here! 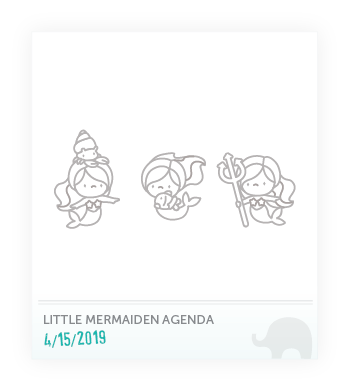 Wave hello to Little Mermaiden Agenda! We're calling these little cuties "mermaidens" and they are everything all you Little Agenda fans have been waiting for! Don't the Little Agenda series just keep getting better and better? Some of the characters form Stackable Cuties make an appearance in this new set called Big News. This set is a spin off of our wildly popular Three Amigos which was released several years ago. 2019 version here, same artist, same fun mix and match sentiment to adorn the message board! You'll love these! And last but not least, Mini Everyday Messages is a great addition set to Big News -- or if you need mini sentiments -- and who doesn't?! You'll love the variety of sentiments we cover in this set -- everything from birthdays to "pull me" (great for all our interactive cards)! The lovely Rina will be here all week to share her Introduction projects and videos! Make sure you're subscribed to our YouTube channel so you don't miss anything! Oh my gosh!! All so cute - these sneak peeks kill me! I love the mermaids especially!! These are all adorable! Can't wait to see more! I must have the lil mermaids & matching die cut. Please , please save a set for me?????? The potential for cuteness awaits. Love all the Little Agenda Stamps!! I'll be adding Mermaid to my collection!! Oh my goodness, these are all so adorable! More Little Agendas to love!!! OMG it is all SO CUTE!!! I can't wait!